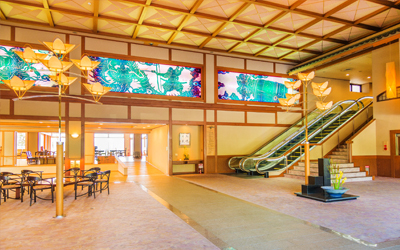 Yuzanso is a hot spring hotel and geographically located on Lake Biwa in Shiga Prefecture. 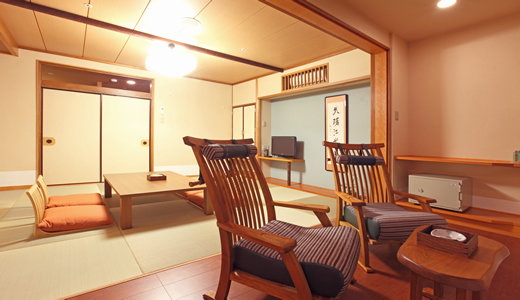 Since our hotel is situated in a suburban area of Kyoto, it takes you only 25 minutes to arrive at our hotel from Kyoto Station by train. 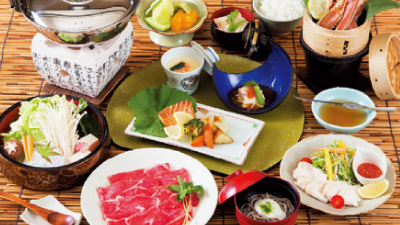 Hence, after your visit Kyoto, you can enjoy a hot spring and delicious cuisine in our hotel in one night. Our hotel has 110 rooms and large hot tubs that are open-air and available to all our guests, and 51 out of all the rooms have a small hot tub each that is open-air as well. 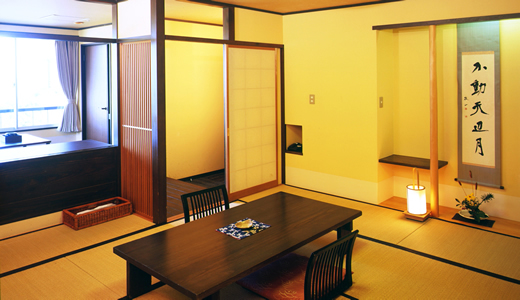 The Ogoto-Onsen area, which is historically famous for local hot springs and where our hotel is located, was initiated about 1200 years ago. We genuinely hope that you will experience the therapeutic effect of our hot spring and fully enjoy the beauty of the nature in every season during your stay.